Are you strongly passionate about issues from LGBTQ+ rights to climate change and show a strong disagreement with the politics holding office at this time? I am putting together a Youth Task Force for the People’s Congress of Resistance! “In the face of the assault waged against working class and poor communities and the environment by the Trump Administration a grassroots People’s Congress of Resistance will convene in Washington, D.C. on September 16 and 17, 2017,” according to the People’s Congress Resistance website. I am looking for passionate youth from the Southern California and Los Angeles area who are interested in volunteering and fundraising for the resistance. We will have meetings and brainstorm Ideas to assure us youth have our voice heard! What this task force would do is reach out to L.A. youth informing them about the People’s Congress Of Resistance and how they can get involved as well as social media outreach, fundraising and more! We currently have a big group of teens interested but if you’re very passionate or know of someone who would be, about this opportunity, five youth who are really committed will take on leading the group and meeting regularly. Please join and share with your friends! Any Questions, want to find out more? Contact me and I will send out further information. 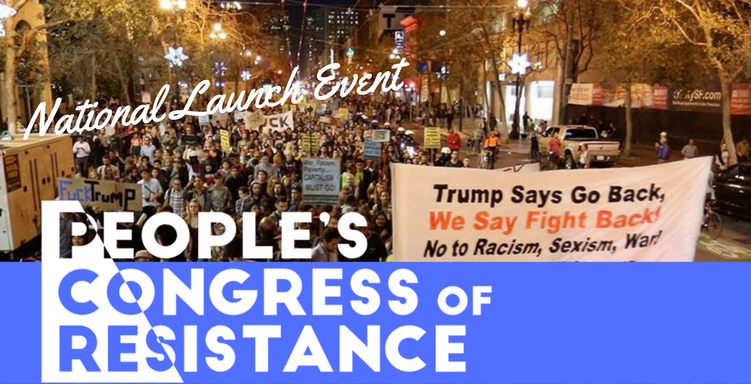 For more information on the People’s Congress Of Resistance check out the link below.